Rapid Vienna has over 2.5 goals in their last 4 matches. Astana scored in last 4 home matches. Anderlecht has over 2.5 goals in their last 3 away matches. Genk scored in last 23 matches. Fenerbahce has over 2.5 goals in their last 3 matches. Anderlecht scored in last 3 away matches. Villarreal has over 2.5 goals in their last 5 away matches. Rapid Vienna has under 2.5 goals in their last 4 home matches. Villarreal scored in last 6 away matches. Anderlecht scored in last 6 matches. Genk allowed opponents to score over 1.5 goals in last 6 home matches. Dynamo Kyiv has under 2.5 goals in their last 4 home matches. Dynamo Kyiv lost their last 3 home matches. Malmo scored in last 7 matches. Fenerbahce scored in last 3 matches. Villarreal scored in last 7 matches. Malmo scored over 1.5 goals in last 3 home matches. Sarpsborg 08 allowed opponents to score over 1.5 goals in last 3 matches. Rangers has under 2.5 goals in their last 4 matches. Spartak Moscow scored in last 4 home matches. Rangers allowed opponents to score over 1.5 goals in last 10 matches. Apollon Limassol has over 2.5 goals in their last 4 home matches. Eintracht Frankfurt scored in last 15 matches. Spartak Moscow scored in last 3 matches. Rangers allowed opponents to score over 1.5 goals in last 4 away matches. Eintracht Frankfurt scored in last 10 away matches. Apollon Limassol scored in last 22 home matches. Eintracht Frankfurt allowed opponents to score over 1.5 goals in last 4 away matches. PAOK has under 2.5 goals in their last 3 matches. Videoton scored in last 4 matches. PAOK scored in last 7 away matches. Videoton scored over 1.5 goals in last 4 matches. PAOK allowed opponents to score over 1.5 goals in last 8 away matches. Celtic has over 2.5 goals in their last 3 matches. RB Leipzig has over 2.5 goals in their last 3 away matches. Rennes scored in last 4 away matches. Dynamo Kyiv didn’t score in last 3 home matches. RB Leipzig has under 2.5 goals in their last 3 matches. Celtic won their last 7 home matches. RB Leipzig won their last 3 away matches. Dynamo Kyiv allowed opponents to score over 1.5 goals in last 9 matches. Malmo won their last 3 home matches. Slavia Praha won their last 8 home matches. Bordeaux allowed opponents to score over 1.5 goals in last 3 matches. Dinamo Zagreb won their last 4 matches. Slavia Praha scored in last 7 matches. Genk scored in last 10 home matches. Malmo scored in last 3 home matches. Slavia Praha scored in last 8 home matches. 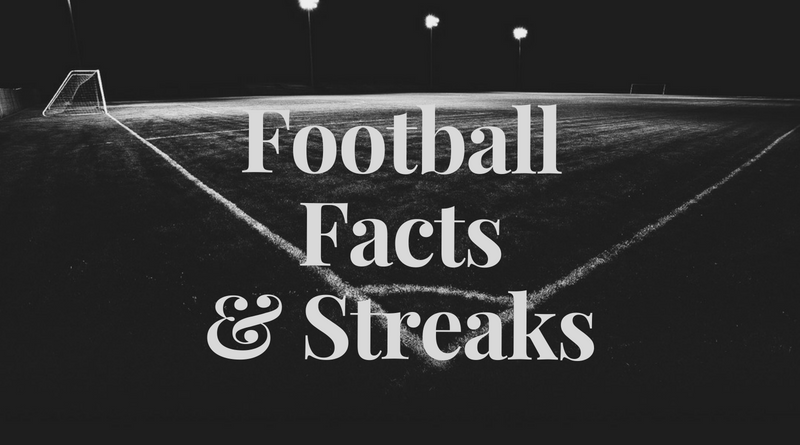 Rosenborg has over 2.5 goals in their last 4 matches. Rosenborg won their last 3 matches. RB Salzburg scored in last 8 away matches. Rosenborg scored in last 3 matches. Bordeaux allowed opponents to score over 1.5 goals in last 3 home matches. Dinamo Zagreb scored in last 11 home matches. Milan scored in last 4 matches. Milan allowed opponents to score over 1.5 goals in last 7 away matches. Bayer Leverkusen has over 2.5 goals in their last 3 matches. Zurich has over 2.5 goals in their last 6 matches. Rosenborg scored in last 23 home matches. Milan won their last 3 matches. Zurich has over 2.5 goals in their last 5 away matches. Spartak Trnava scored in last 6 matches. Dinamo Zagreb scored in last 7 matches. Zurich scored in last 7 matches. Zurich scored in last 7 away matches. Sporting has over 2.5 goals in their last 3 matches. Arsenal scored in last 10 home matches. Sporting scored in last 4 away matches. Bordeaux has under 2.5 goals in their last 3 matches. Zenit scored in last 4 matches. Sporting has over 2.5 goals in their last 4 away matches. Arsenal scored in last 17 matches. Dinamo Zagreb scored over 1.5 goals in last 4 matches.